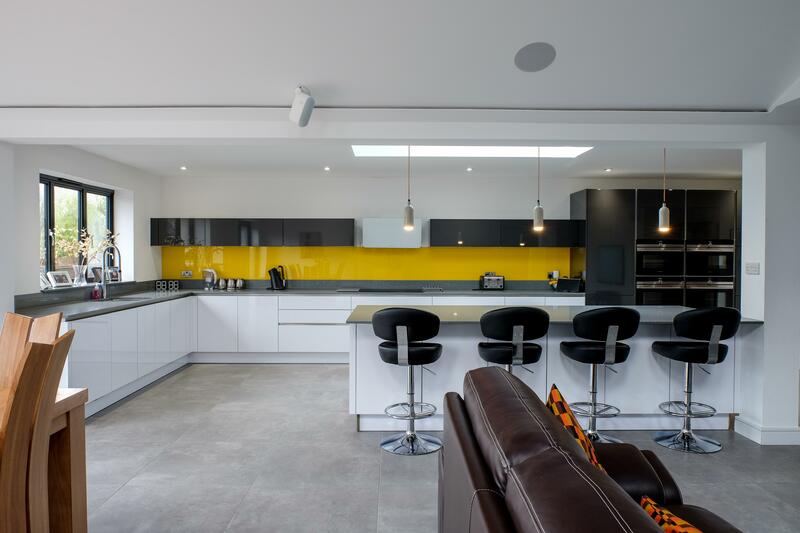 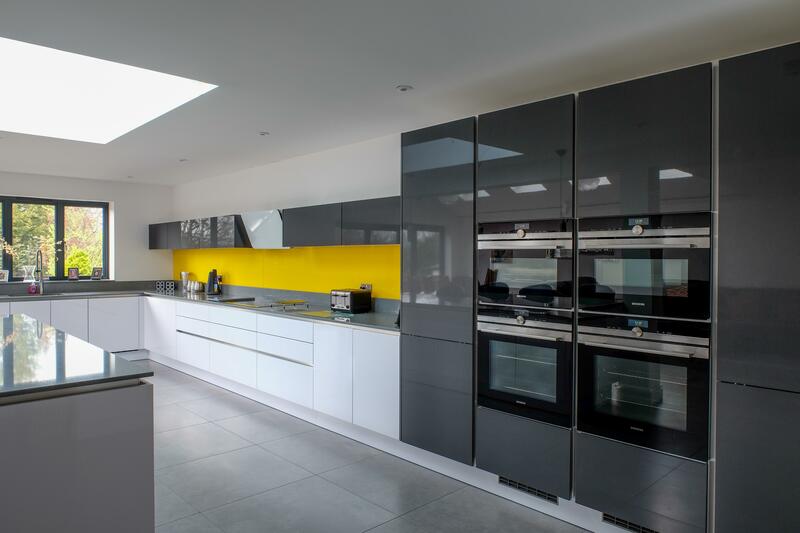 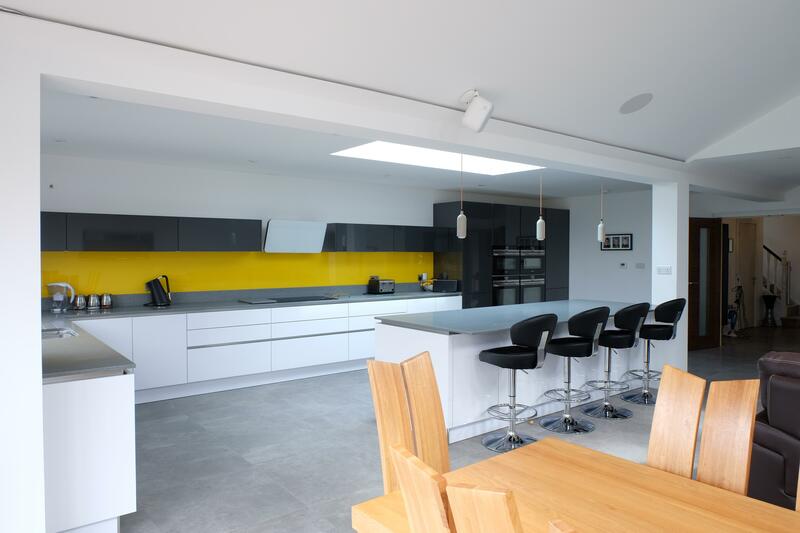 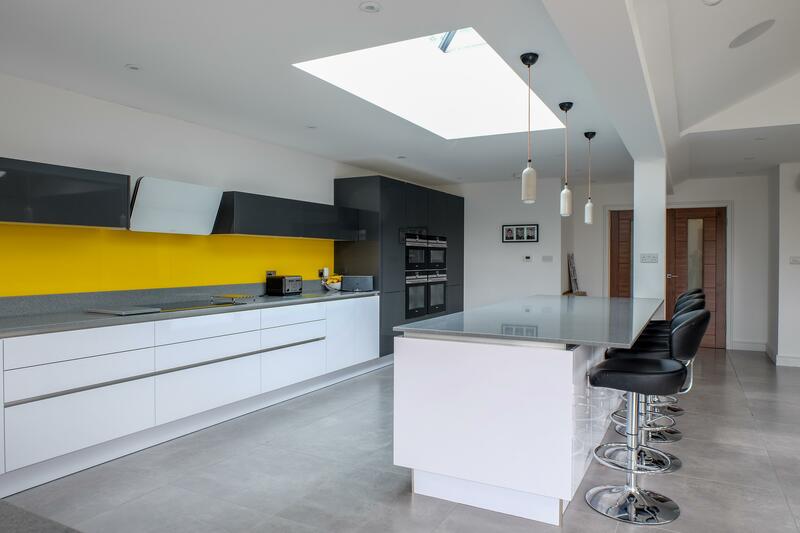 Add drama and warmth to your modern kitchen by mixing neutral tones with a vibrant colour. 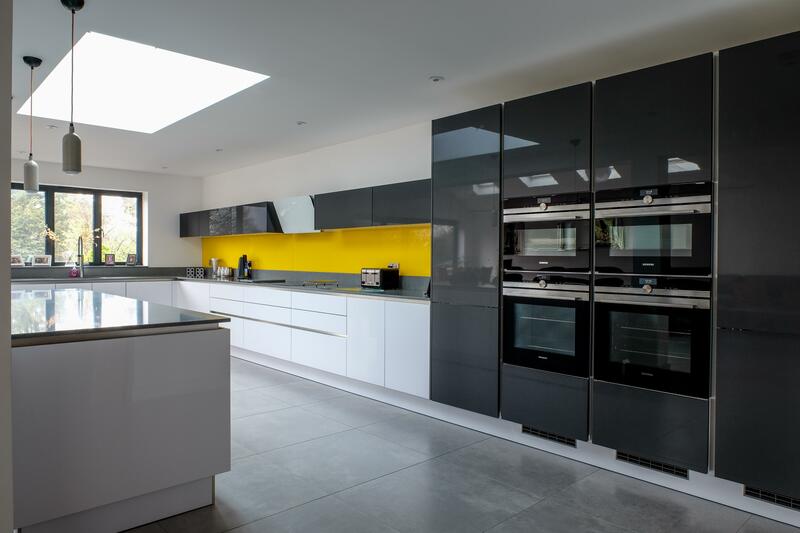 The kitchen cabinets have been designed in gloss white, paired with gloss carbon metallic and ‘Nonna Mystico’ quartz woktops, which has a subtle glitter effect, bringing a touch of luxury and texture to a sleek design. 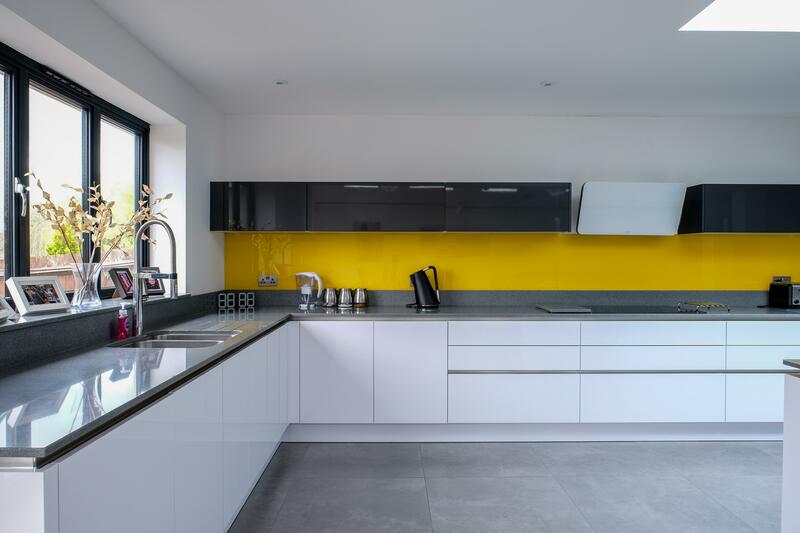 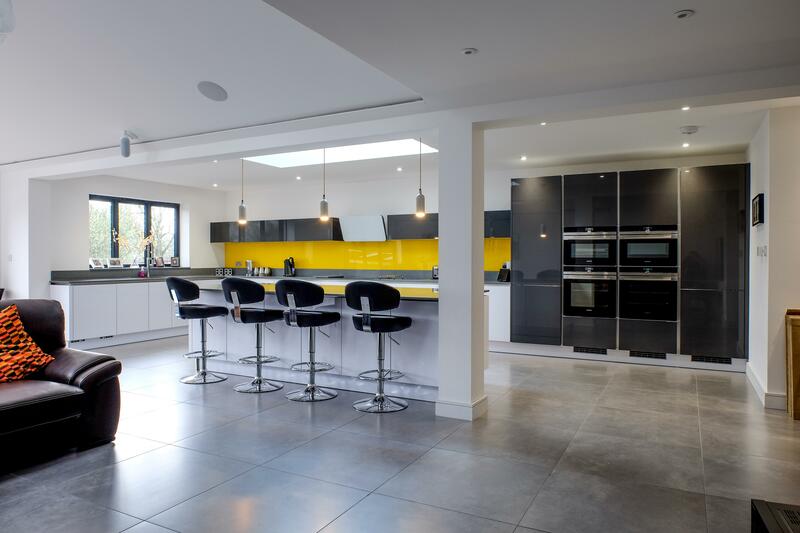 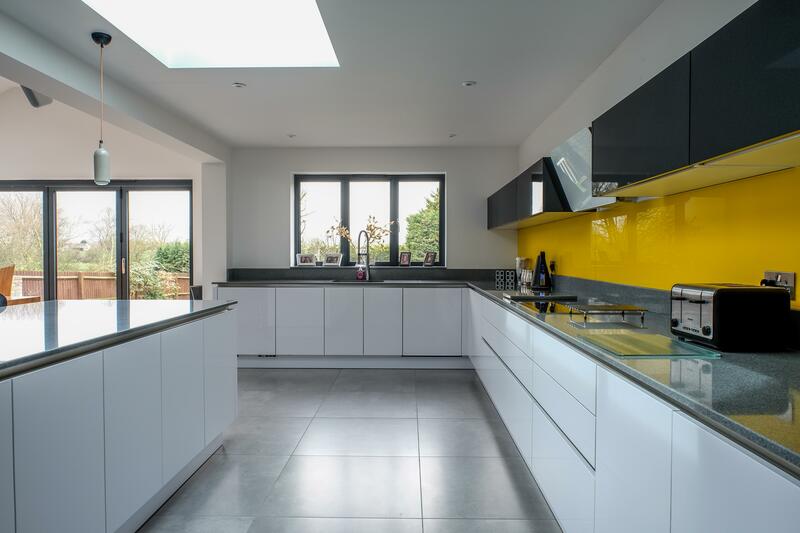 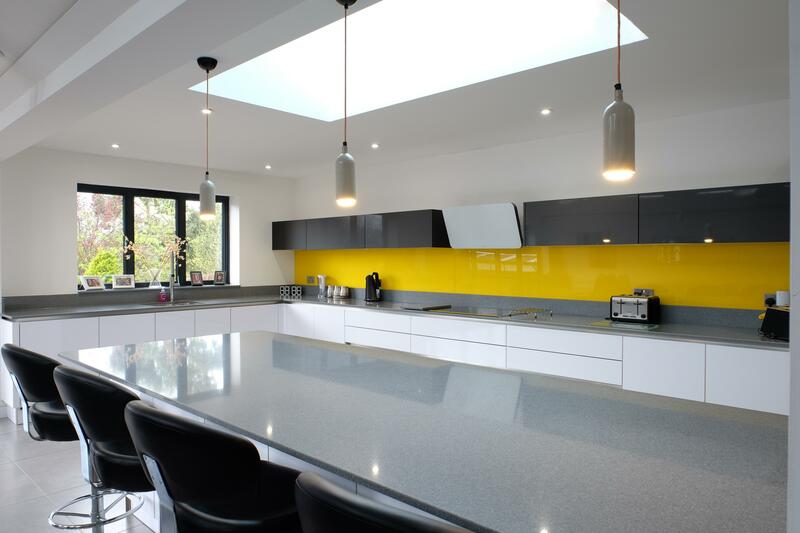 The yellow glass backsplash is an individual and dramatic statement in this kitchen. 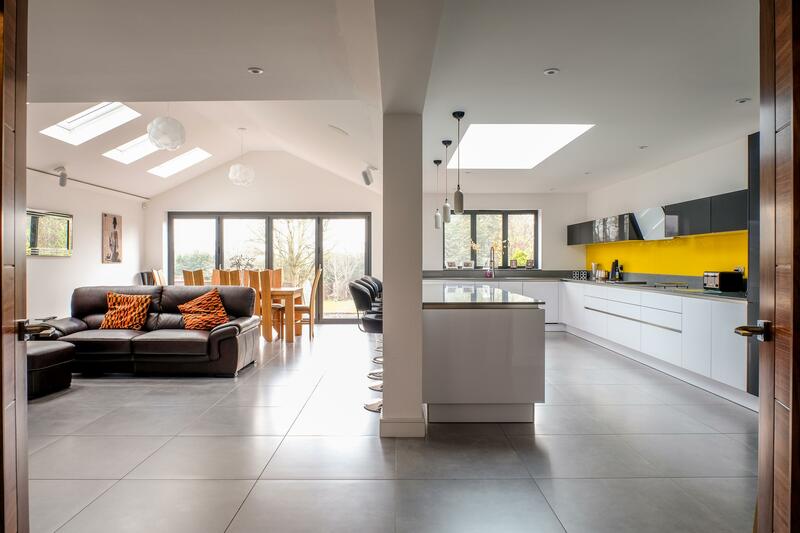 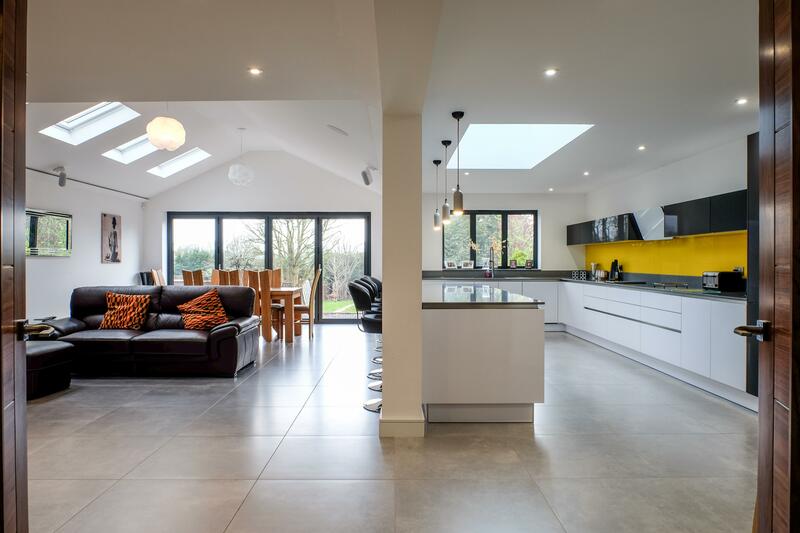 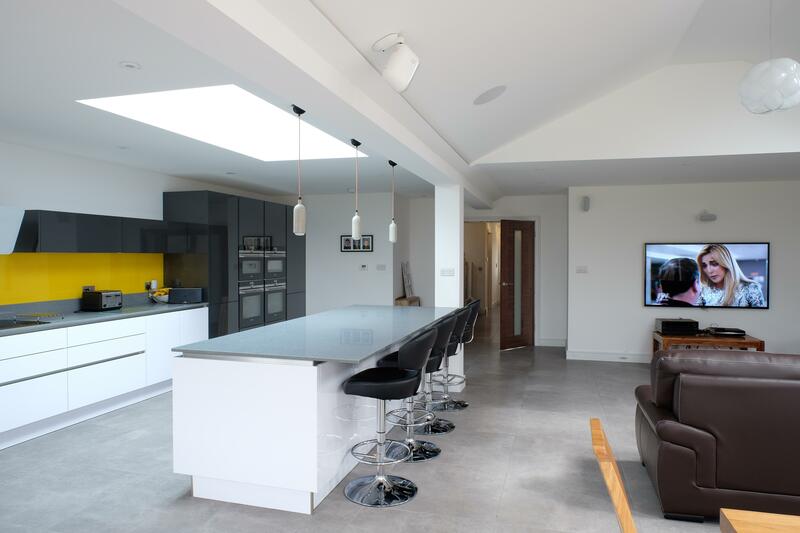 This open plan space combines cooking, living and dining, creating a multifunctional area. 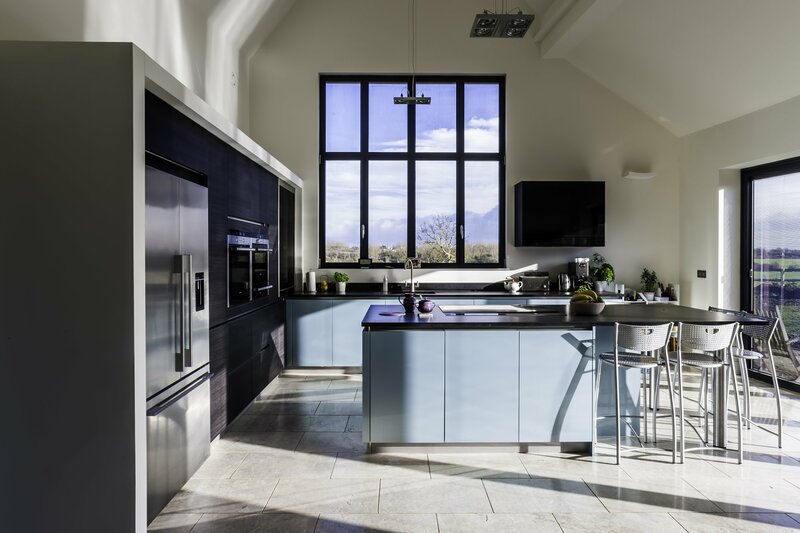 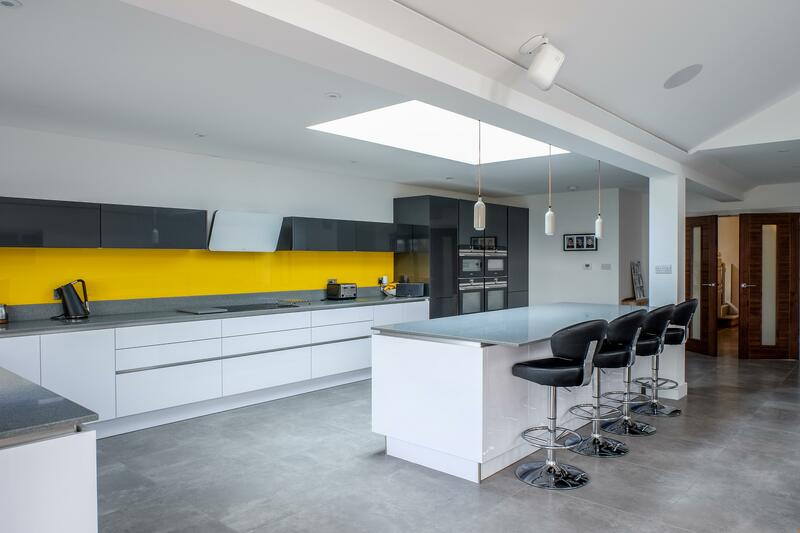 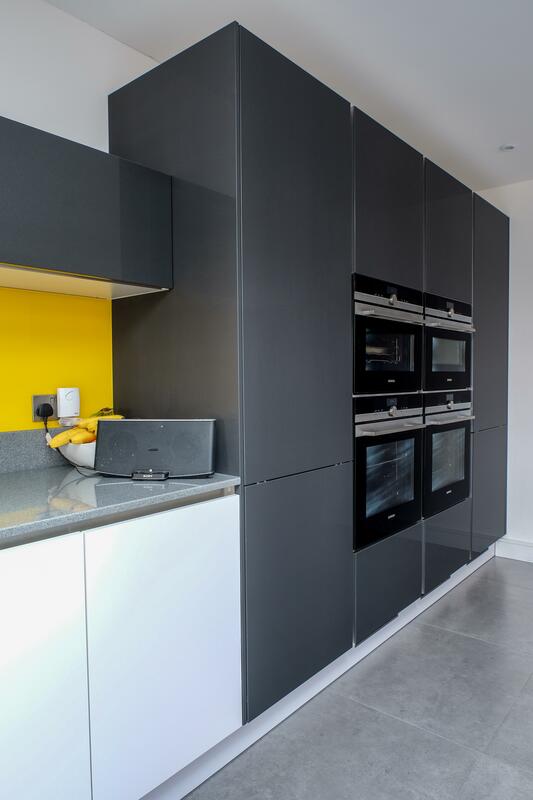 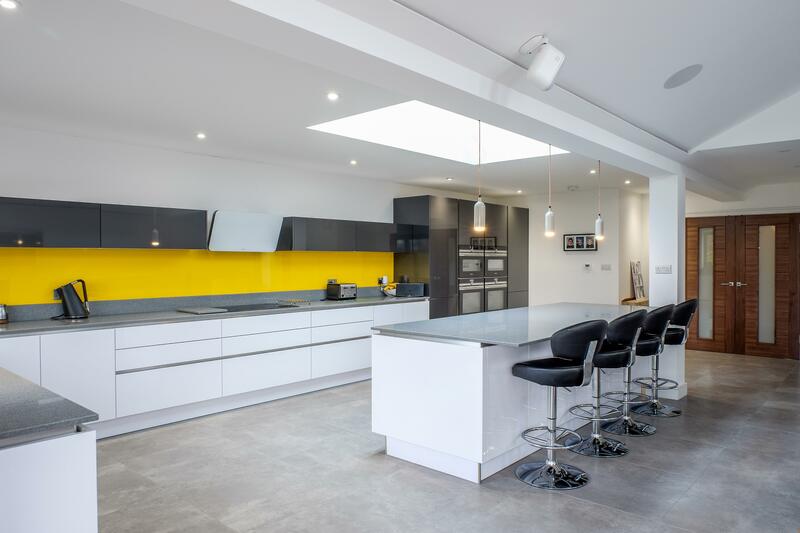 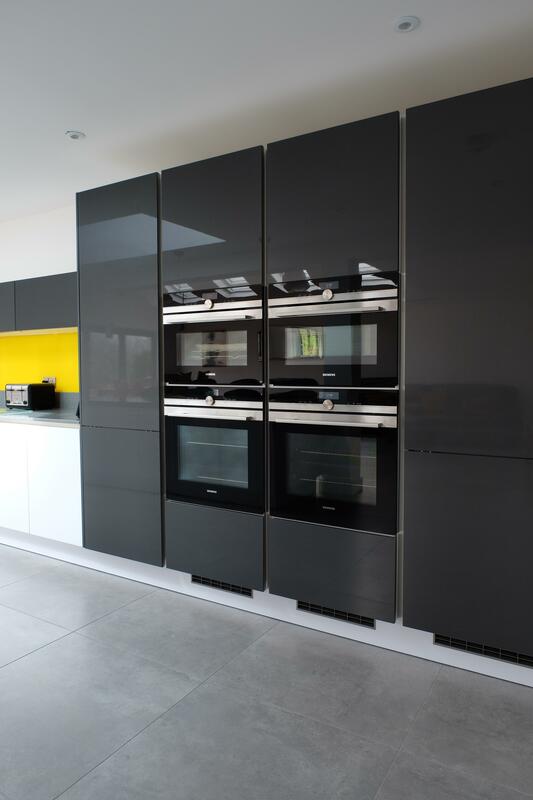 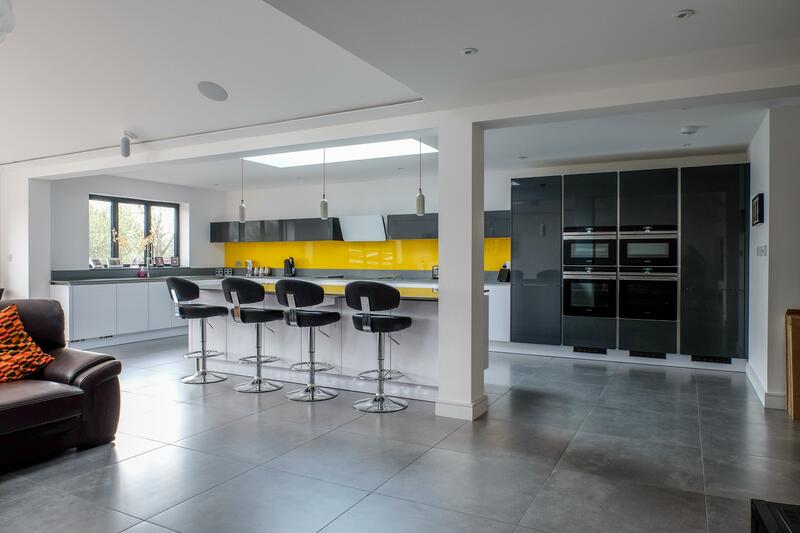 This is something that was important in the client’s brief, so we allowed space for four ovens, including a steamer and combination microwave, as well as a large induction hob, which all help to create the perfect entertaining space.